Psoriasis is a dry, scaly skin condition. It is a common, chronic, autoimmune inflammatory condition. It occurs when your immune system is overactive, triggering skin inflammation and causing your skin cells to be produced at a faster than normal rate. The new skin cells are pushed to the skin’s surface in 3 to 4 days instead of the usual 28 to 30. When this happens, the body can’t shed the new skin cells quick enough. So, while new skin cells are created, the old, dead skin cells pile up on top of each other. The old skin cells are pushed to the surface, forming the thick, red, itchy, flaky patches known as plaques. The exact cause of psoriasis is unknown. There are different types of psoriasis. Psoriasis can range from mild to moderate to very severe and disabling. Most commonly silvery scaly areas on elbows, knees scalp, trunk. Pitting, peripheral loosening and lifting, discoloration and thickening of nails. Scaly dandruff like thick scabs, itching or no itching. Scalp psoriasis may be the first sign of psoriasis. Skin folds of axillae, groin and under breast. May look glazed and scaling absent. May look like fungus or eczema of skin folds. Well defined glazed areas in nappy area in babies. Most people living with psoriasis experience good days when their skin clears and bad days when psoriasis flares. A trigger is usually needed to make psoriasis appear – whether it is for the first time or the thirtieth. Although no permanent cure is available, correct management should result in long term control of psoriasis. Results are determined by the type of psoriasis, severity, location on body, age and general health of patient. No single treatment is effective in all cases and a combination treatment may be necessary for a synergistic effect. Moisturisers: Psoriatic skin tends to be dry and may lead to itching. Cetomagrocol wax: Unlike moisturisers, Cetomagrocol acts as an anti-inflammatory in eczema and psoriasis. The patient should keep on using this cream to prevent further outbreaks. It can be applied 1 to 3 times daily on the areas prone to psoriasis. Tar therapy: This has been used for decades in shampoo and topical applications. Coal tar in combination with ultra-violet treatment is even more effective. There are no reports of increased incidence of skin cancer due to coal tar treatments to date. Side effects include folliculitis (especially under occlusion), skin irritation and coal tar aroma. Dithranol: Synthetic tar derivative for scalp and chronic plaque psoriasis, but not for pustular, guttate or erythrodermic psoriasis. Tar may irritate and discolour the skin and clothing. Salicylic acid (preservative) can burn the skin and even cause blistering. Not for face, genitalia or skin folds. 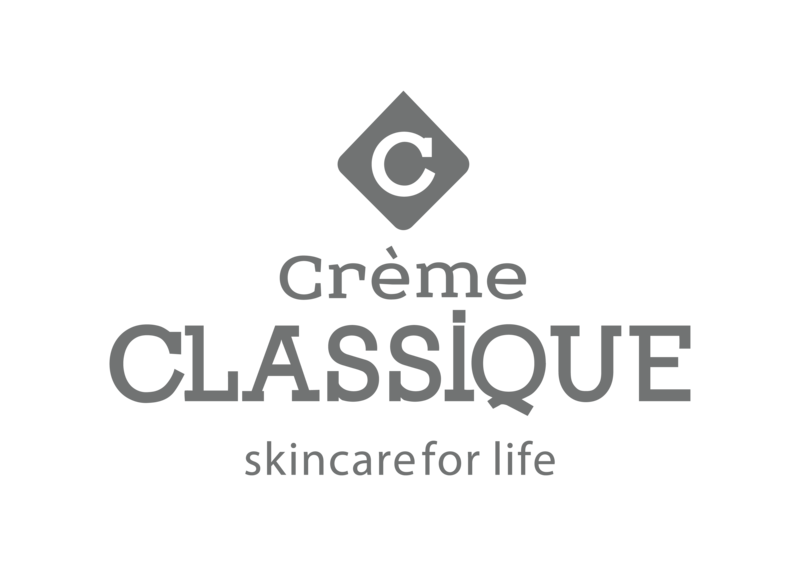 Protect the normal skin with Vaseline or Crème Classique® Ointment. It should be freshly prepared and stored in a fridge. Topical Cortisone: The least cortisone to be prescribed as topical and as single agent the better! Vitamin D3 Calcipotriol: Dovonex. May burn and irritate, especially in skin folds and face. It may take a few weeks before improvement. Use in combination with coal tar or preferable ultra violet treatment. Risk of hypercalcemia if more than 100g is applied weekly. Tazarotene: Zorak Gel 0,5 – 1% (acetylenic retinoid) This is the first topical retinoid for stable plaque psoriasis. Apply at night on lesions, avoiding surrounding normal skin. It is odour free and none staining. 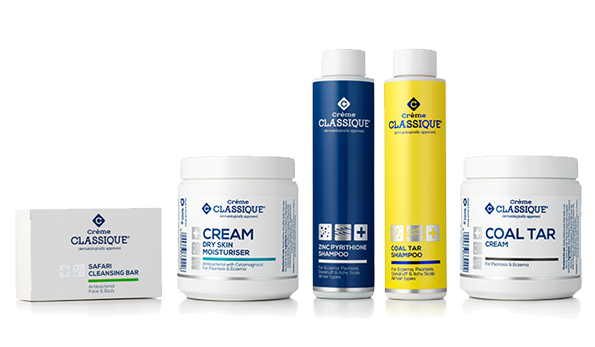 It may take a few weeks to notice improvement and adding a topical steroid in the mornings or Créme Classique® Cream or Ointment may prevent redness, burning and irritation and psoriasis may clear quicker. This preparation may be teratogenic and contraception may be necessary. This is the treatment of choice for extensive and stubborn psoriasis. Ultraviolet can be given as the only therapy, but combination therapy to achieve a synergistic effect is preferable. Combination treatments with Neo-Tigason or Dithranol speeded the treatment. This is the newest UV treatment. A short duration of exposure and even better results if in combination with Crème Classique® Ointment or Cream, Dithranol, Zorak, Crème Classique® Coal Tar Cream, Neo- Tigason or the new systemic treatments. Narrowband UVB treatment is available at Advanced Dermatology www.advanceddermatology.co.za for more information. In South Africa, medical aid usually pays for the treatments. There are trained physiotherapists who perform the treatments at the clinics. Long term remissions for months or even years may be anticipated. Tacrolimus topical cream: Expensive and not as effective as in eczema and usually only for facial psoriasis. Trade name: ‘PRETOPIC’. May burn the skin. Tacalcitol ointment: A new vitamin D3 from Japan (Bonalfa). Also for icthyosis, pustular eruption of palms and soles, palmoplantar keratoderma, pityriasis rubra pilaris. 83% of pro-psoriasis patients cleared, and side effects in 0.3 – 1% of patients only. Liarozole fumerate (Janssen): An Imidazole, inhibiting cytochrome P450 followed by accumulation of endogenic produced retinoic acid for psoriasis and icthyosis. 77% of patients improved in 12 weeks. Side effects as in retinoids with dry oral mucosa, itching and headaches. 75mg bd 1 month, then 50mg bd for 8 weeks. Topical application to be developed. Tagretin RX Receptor (Not RA Receptor) Retinoid. Sup of Thyroid and triglycerides. No dry eyes or lips.